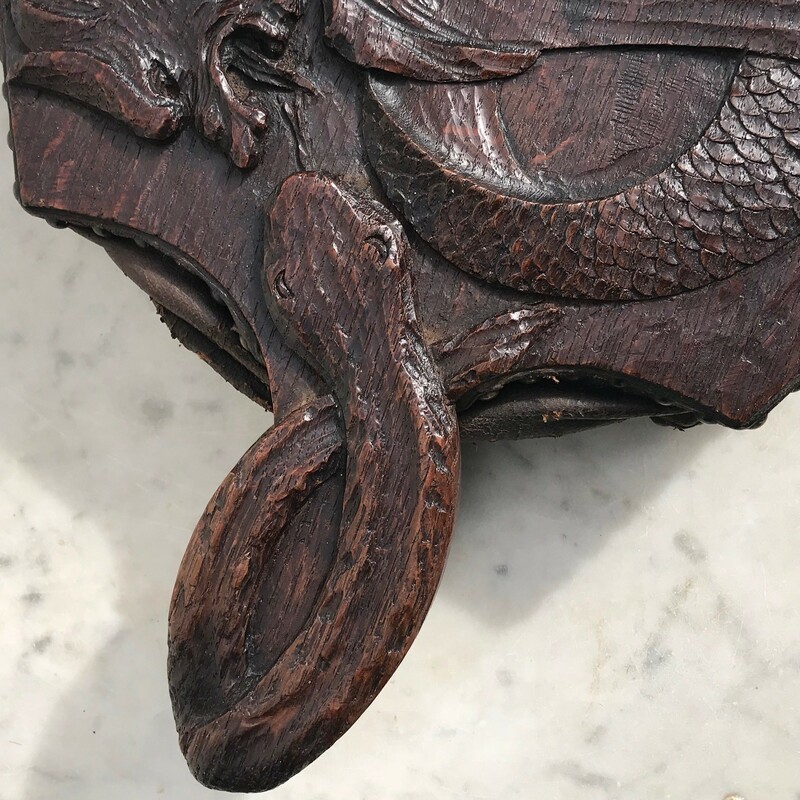 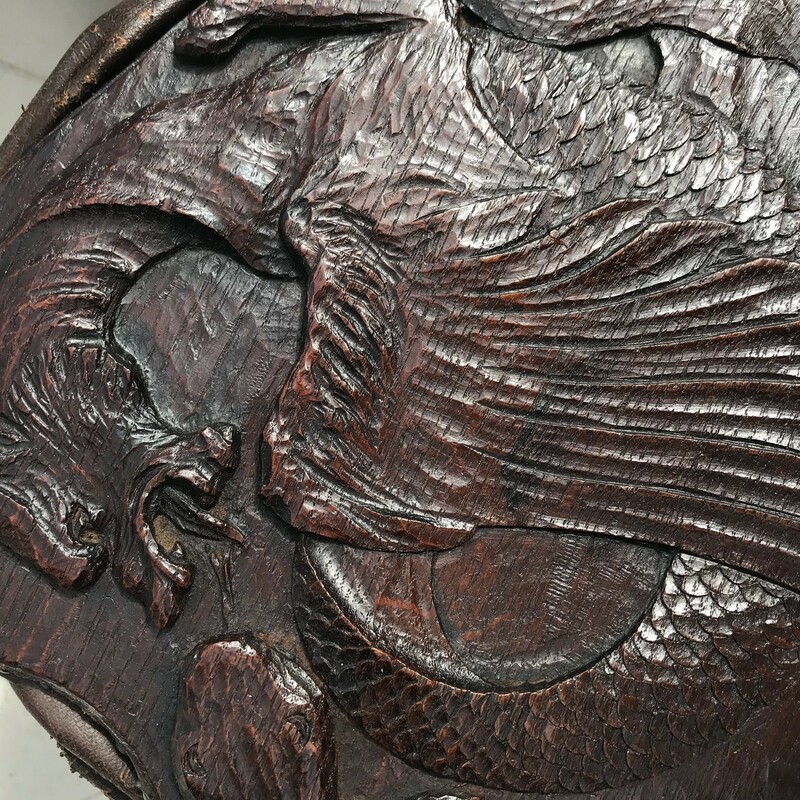 A generously sized pair of 19th Century oak bellows dramatically carved with a winged dragon attacking a snake. 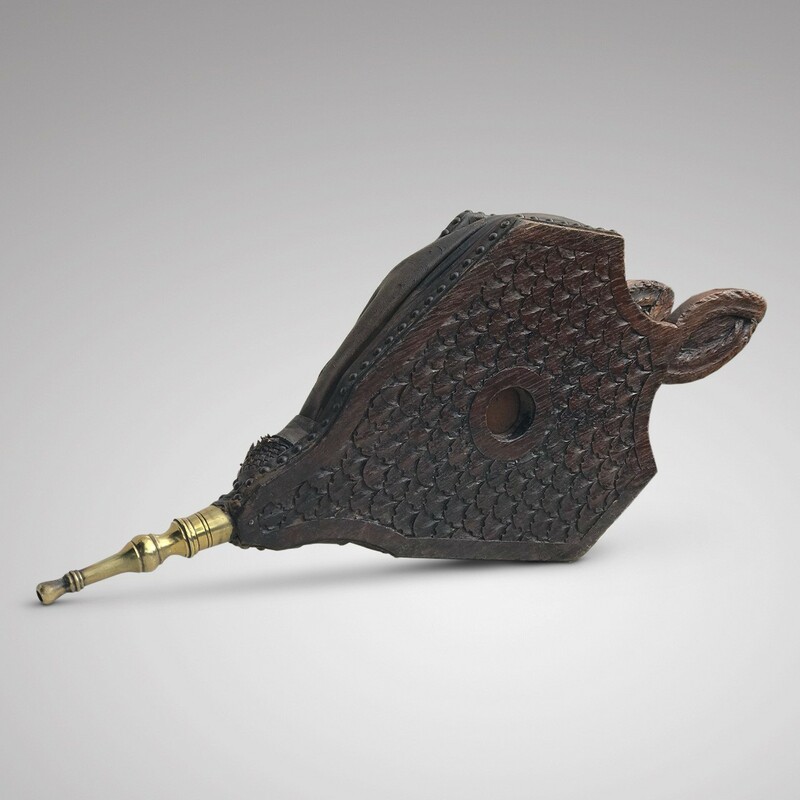 The bellows have a brass nozzle finished with a studded leather trim. 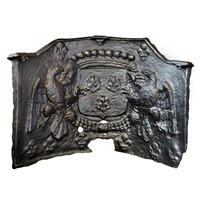 The back of the bellows is carved with an attractive all over leaf design. 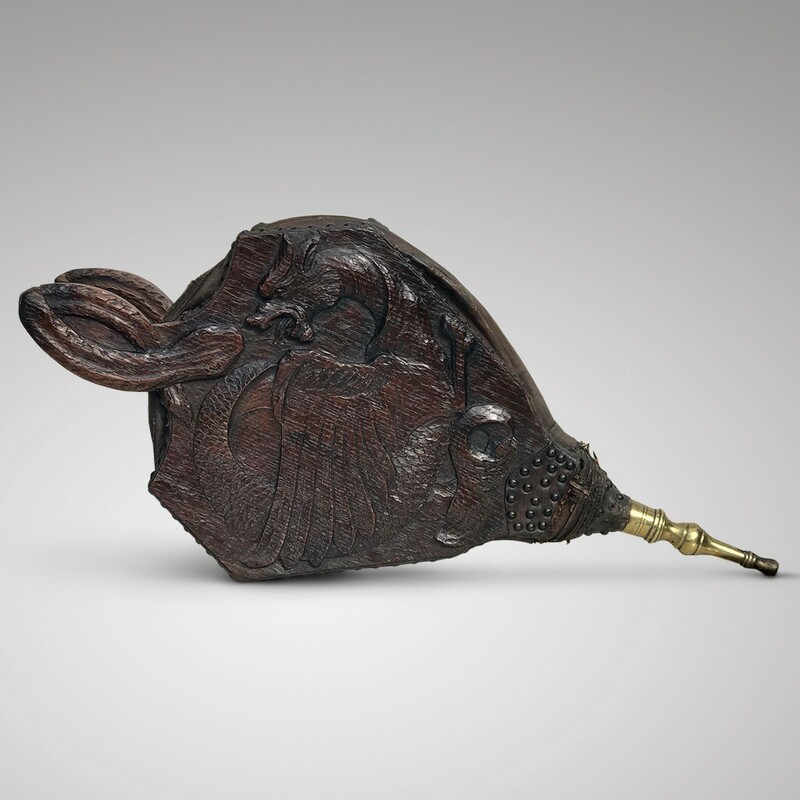 These bellows are in full working order. 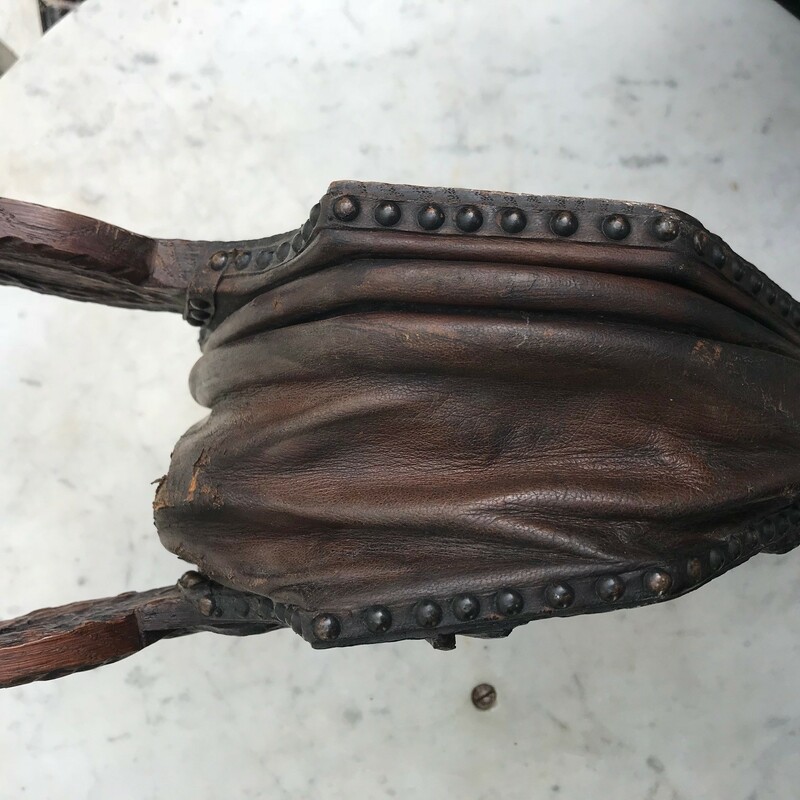 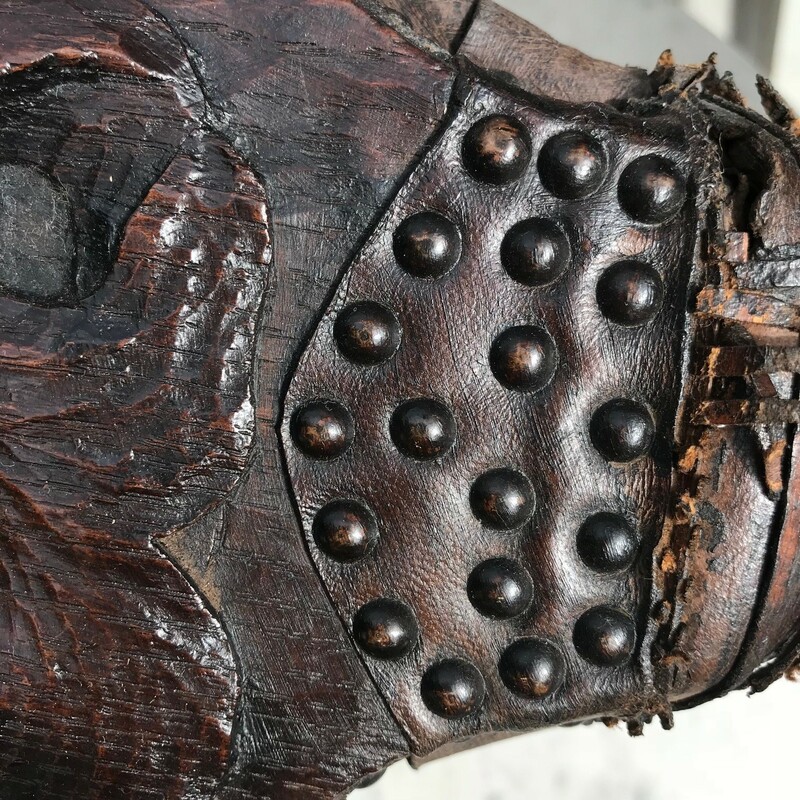 The condition is good, there is some minor wear to the leather but this is not detrimental and as can be expected on an item in use since the 19th Century. 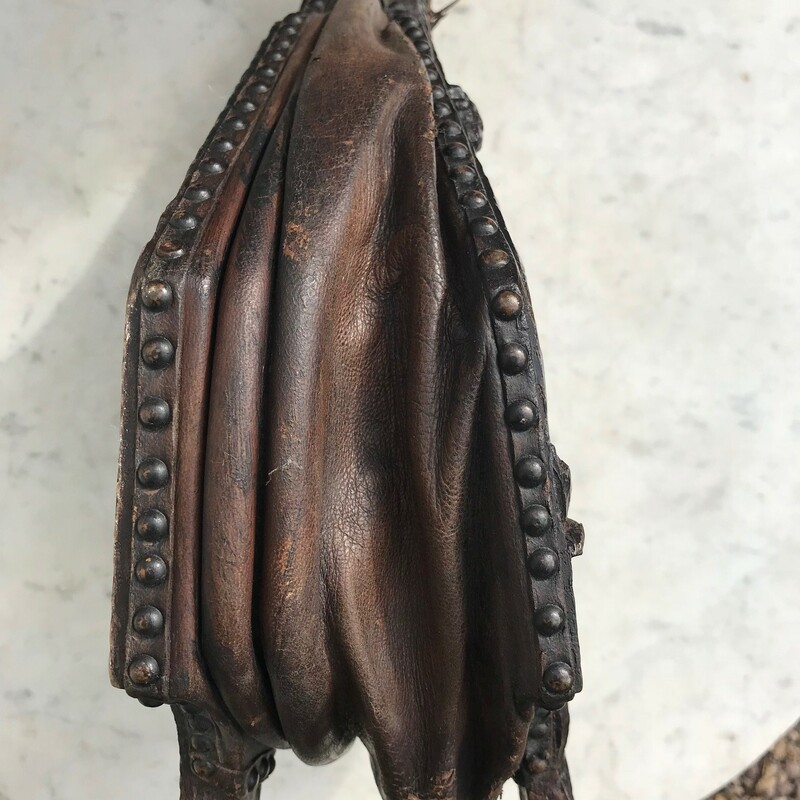 A very decorative and useful pair of Victorian bellows to grace any fireside.